Nvidia's next generation of graphics cards have arrived, promising to be significanltly more powerful than the GeForce GTX 1080, as they are designed to deliver true of 4K gaming at 60 fps. 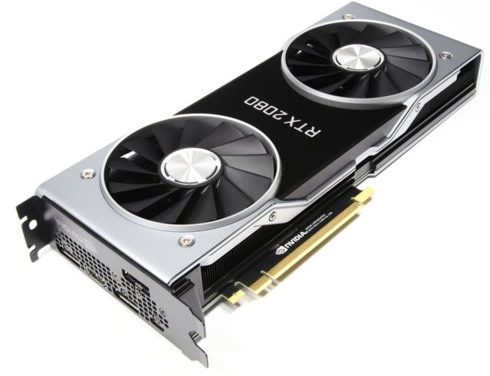 We have in ours hand for some becnhmarks the new RTX 2080, and RTX 2080 Ti. The RTX 2080 Ti is the "Founders Edition" card, which have a 3-year warranty and are overclocked by default. The new RTX series includes the RTX 2070 (starting at $499), RTX 2080 (starting at $699), and RTX 2080 Ti (starting at $999). The Founders Edition pushes the RTX 2080 Ti up to an eye-watering $1,199. Some days ago we went into some details about the new Turiq architecture of the RTX series. In short, we are talking about support for both real-time ray tracing and AI-powered anti-aliasing. Ray tracing is used to generate real-time light reflections and cinematic effects in games. But before you even get a game installed on your PC, Nvidia's Deep Learning Super-Sampling (DLSS) leverages the company's supercomputers to scan games before they are released and work out the most efficient way to render graphics. We cannot test ray tracing or DLSS with the RTX 2080 and RTX 2080 Ti units yet, until Microsoft delivers its Windows 10 October 2018 Update. Nvidia claims that more than 25 games will support DLSS, and at least 11 will have ray tracing in the coming months. So today we treat these new cards as we typically do in our GPU reviews, mainly by measuring their horsepower during gaming. But this time Nvidia has raised the bar, so testing will be mainly done under demanding 2K and 4K resolutions. In terms of hardware, Nvidia has has ditched the metal shield and blower combination that has served it well in the past in favor of a new dual-fan setup for its Founders Edition cards. There's also now a full-length vapor chamber that helps make the cards run quieter and cooler. Have in mind that Nvidia is recommending that your system has at least a 650W power supply if you want to run either the RTX 2080 or RTX 2080 Ti properly. If you're purchasing the Founders Edition cards, they'll draw up to 225 watts and 260 watts, respectively. 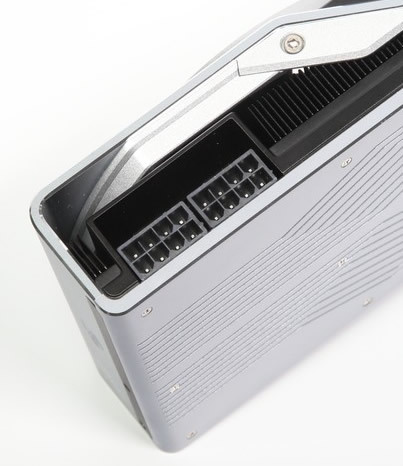 That's a significant step up from the recommended 500W power supply (and 180W draw) of the GTX 1080, and it means you'll need a 6-pin and 8-pin connector for the RTX 2080 or two 8-pins for the RTX 2080 Ti. During testing, we saw the RTX 2080 Ti drawing 45 watts of power when idle (! ), but Nvidia says that a driver update will address this issue shortly and bring idle consumption down to between 10 watts and 15 watts. Nvidia has also included three DisplayPort 1.4a outputs that can handle up to 8K resolution on a single cable with DSC 1.2. There's also an HDMI 2.0b connector and a VirtualLink USB-C connector for the next generation of VR headsets. We start with the 3DMark benchmark. In the "Time Spy" 12 tests, the GeForce RTX 2080 had about a 11-13% lead over the GeForce GTX 1080 Ti, while the GeForce RTX 2080 Ti further expaned that lead by 20 - 22%. On the other hand, in the "Fire Strike" DirectX 11 tests, the GeForce RTX 2080 scored slightly lower than the GeForce GTX 1080 Ti. The highest score was recorded with the GeForce RTX 2080 Ti, with an average 12 - 19% lead over the GeForce GTX 1080 Ti. As you see below, all the graphics cards except from the Radeon RX Vega 64 topped at the 230 average FPS mark in the Orange Room test, showing that the system's CPU posed a bottleneck. In the DirectX 12 'Cyan Room' test of VRMark, the GeForce RTX 2080 is leading the race and gave about 36% more FPS than the GeForce GTX 1080 Ti. The lead over the GeForce RTX 2080 was about 23%. All the GeForce RTX 20 series performed well in the 4K 'Blue Room' test, with the GeForce RTX 2080 to have a 19% lead over the GeForce GTX 1080 Ti. The high-end GeForce RTX 2080 Ti gave more that 100 FPS and is the absolute winner here. In the 'Ashes of the Singularity: Escalation' game, we ,measured FPS at Full HD and 4K and we also examined the performance differences under the DirectX 11 and DirectX 12. For all the tests we used the "Crazy "quality settings of the game. As you see below, the GeForce GTX 1080 Ti was pretty close to the RTX 2080 under DX11, and second to the leading GeForce RTX 2080 Ti. The situation was reversed in favor of the new RTX 2080 under DX12. But the overall differences between the RTX 2080 and the GTX 1080 Ti in the 1080p test were negligible. It seems that the new GeForce RTX 20 series perform better when using DirectX 12. Although the 'Shadow Of The Tomb Raider' was released recently, it does not yest support ray tracing and DLSS. We tested the title using the DirectX 12 the API and the "highest" quality settings, along with TAA anti-aliasing. The GeForce RTX 2080 holds the second place and is about 4 - 7% faster than the GeForce GTX 1080 Ti. In the 'Monster Hunter: World' game we set the quality to the "highest" and measured the FPS for each card at resolutions of up to 4K. Although we have to do with an oldre DirectX 11 title, the GeForce RTX 2080 had a 8 - 10% lead over the GeForce GTX 1080 Ti. Again, the GeForce RTX 2080 Ti performed better by 16 - 25% compared to the GeForce RTX 2080, and further widened that lead at 4K. For the 'FINAL In FANTASY XV WINDOWS EDITION' benchmark, "high quality" settings were selected through the game and we measured FPS at resolutions of up to 4K. Again the GeForce RTX 2080 takes the second place and has a 2-4% higher performance comapred to the GeForce GTX 1080 Ti. The GeForce RTX 2080Ti ranks 14-30% higher that the GeForce RTX 2080 and recorded an outstanding score. With the quality settings set to "Epic", we measure the aaverage FPS during the 'Over-watch' gameplay. The results of the GeForce RTX 2080 and the GeForce GTX 1080 Ti are very close to each other, with the GTX 1080 Ti to have a small lead as we were moving to higher resolutions. In any case, both models new GeForce RTX 20 models gave more than 60fps at 4K resolution. In the "Ghost Recon Wild Lands," we chose the "Ultra" quality settings. In 'Assassin's Creed Origins', we ran the benchmarks under the "highest" quality settings. But it seems that the testing platform (CPU) didnot allow the game to reach more that about 90fps. Below you see the peak power consumption we measured during some of our benchmarks. As you can see, the idle power consumption of the GeForce RTX 20 series is slightly higher than the 40W and definitely higher than the competition. According to Nvidia, a driver update will address this issue shortly and bring idle consumption down. On average, the GeForce RTX 2080 consumed 10-20W less that the GeForce GTX 1080 Ti, and up to 80W more than the GeForce GTX 1080. Considering the performance gains of the GeForce RTX 2080, we could say that it is more power efficeint than the GeForce GTX 1080 Ti. The power consumption of the GeForce RTX 2080 Ti maxed out at 420W and was overall 15 - 50W higher than consumption of the GeForce GTX 1080 Ti. But you should have in mind that this value also includes the power consumption of the CPU. 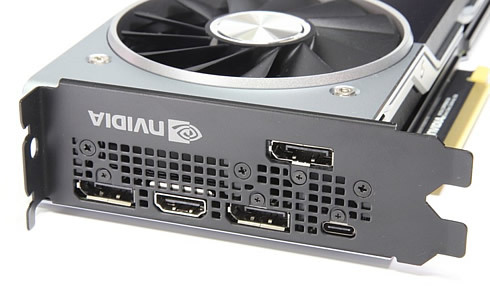 In any case, if you want to use the GeForce RTX 2080 Ti you should consider buying a power supply unit that will cover both the CPU and GPU power requirements. 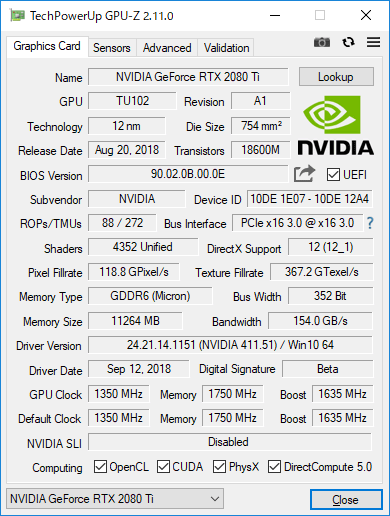 In terms of temperatures, NVIDIA has made a great job with the new GeForce RTX series. The RTX 2080 Ti runs at a maximum of 75C during most testing with its fans on auto and only 60C maximum with the fans are spinning at 100%. This is a great improvement compared to the Pascal GPUs. The great cooling configuration of the new cards keep the temperatures relatively low, meaning that the fans are also not spinning at 100% unless you push things too much.. In any case, the RTX 2080 is quieter and cooler than the GTX 10 Founders Edition cards (GTX 1080/1080 Ti/TITAN Xp). 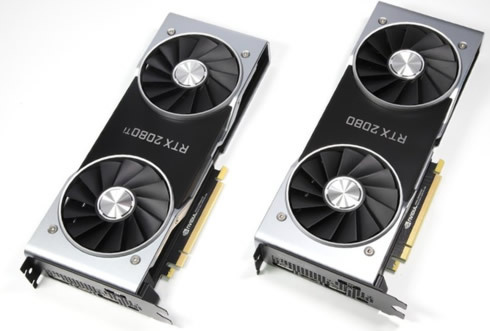 We treated the new GeForce RTX 2080 Ti and GeForce RTX 2080 graphics cards as we did in the past with most other graphics solutions, by taking typical FPS measurements with existing game titles. We did not have the chance to test ray tracing and DSS games. We did however run the Epic Games Infiltrator demo, which that tests the Unreal Engine 4's rendering engine with Nvidia's new DLSS capabilities. Although it's just a demo, the results looked promising. The RTX 2080 averaged 103 fps with DLSS enabled versus non-DLSS rendering at 65 fps average on the GTX 1080. That's more than a 50 percent performance improvement, and close to Nvidia's performance claims for the RTX 2080. In terms of traditional performance the new GeForce RTX 20 series further extends NVIDIA's performance lead. The GeForce RTX 2080 Ti is currently the fastest graphics card you can buy, and possibly the one to consider if you want to play games at 4K and with full quality settings. By the numbers, the reference RTX 2080 Ti is around 30% faster than the GTX 1080 Ti at 4K gaming. With Founders Edition specifications (a 10W higher TDP and 90MHz boost clock increase) the lead grows to 36%. Nvidia's Founders Edition will run you $1,199, so if you also plan to spend to get a 4K monitor with 144Hz refresh rates, the overall spending is very high. If you're planning to game at 1440p and don't intend to upgrade to 4K anytime soon, the RTX 2080 hits the right balance of price and performance. The RTX 2080 general performance is impressive, and the jump from the GTX 1080 is noticeable and worth the investment, especially for demanding games. You can expect a 35% performance improvement over the GTX 1080 at 4K, moving up to 40% with Founders Edition specifications. Compared to the GTX 1080 Ti, the RTX 2080 is pulling ahead by about 8%. Have in mind that neither RTX graphics card can play graphically intensive 4K games at a full 144 frames per second. None of the games we tested were able to hit an average or peak fps value near the native refresh rate of a 4K G-Sync monitors. But the performance hasn't come for free in terms of energy efficiency. TDPs have been increased for the RTX series, which means you are dealing with greater power consumption. The RTX 2080 features power draw at the wall slightly more than the GTX 1080 Ti's draw. The RTX 2080 Ti's system consumption leaps by more than 60W to reach Vega 64 power draw at the wall. The practical benefits of ray tracing remain unknown. Many of games will likely support it in the future, but the real test will be whether the next generation of consoles will offer support. 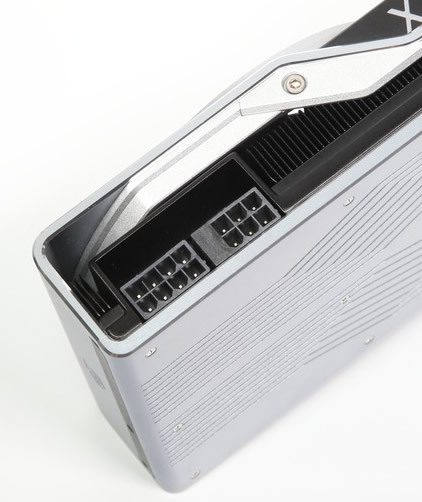 The Turing architecture brings impressive changes, and Nvidia still has very little competition from AMD in this range of high-end graphics cards. If you're considering a high-end graphics card right now, you'll probably be looking exclusively at something from Nvidia.